Easy to move and easy to use! 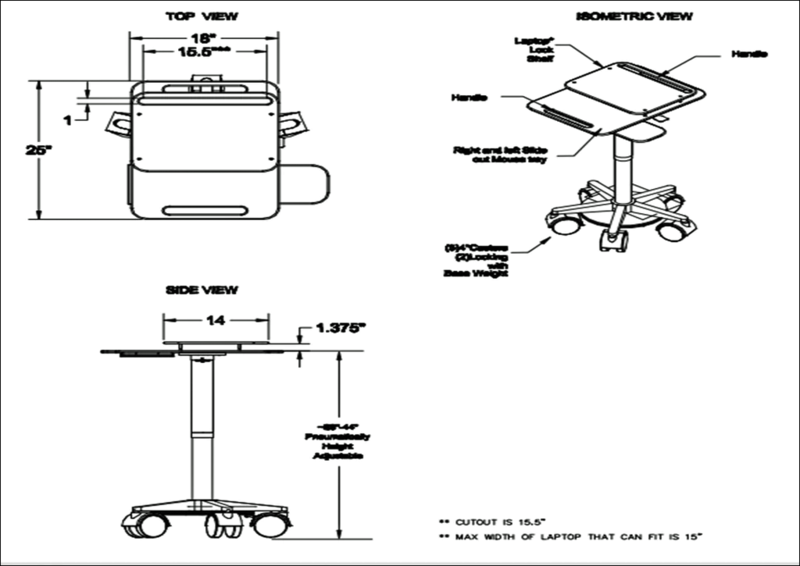 The antimicrobial materials allows this laptop cart to be thoroughly disinfected especially for use in the healthcare industry. The large casters allow the cart to glide into position wherever its needed, whatever the floorsurface. All major contact surfaces are made with antimicrobial material with smooth and contoured surfaces. Integrated handles on the front and rear for ease of maneuverability. 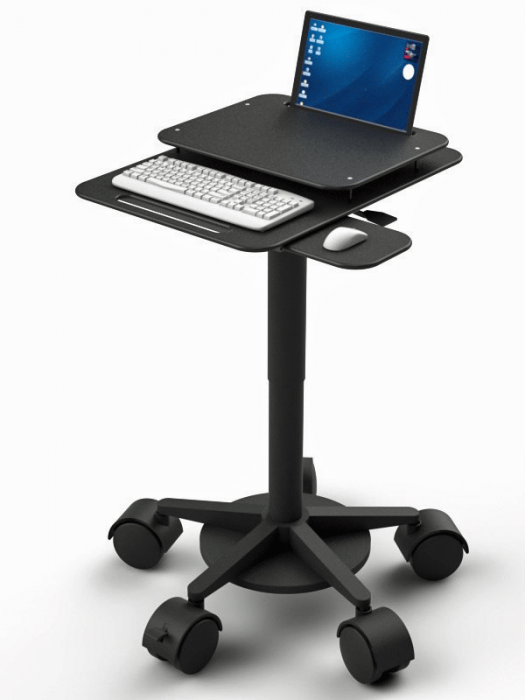 Sit-to-stand height adjustment fom 28" to 44" High (pneumatic). Sliding mouse tray to accommodate left and right hand users. Additional base weight for increased stability. Five 4" casters (the front two are locking).